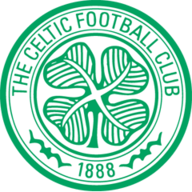 Celtic’s hopes of securing qualification to the Europa League knockout phase were severely dented as Molde booked their place in the last-32 with a 2-1 win at Celtic Park on Thursday. 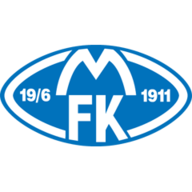 Mohamed Elyounoussi gave Molde the lead with a fine effort midway through the first-half, but the visitors were pegged back almost immediately as Kris Commons drew Celtic level. Veteran defender Daniel Berg Hestad put Molde back in front just before the half-time interval, capitalising on some poor Celtic defending, and his strike proved decisive. Celtic ended the match with 10-men after midfielder Nir Bitton was shown a straight red card for a professional foul on Ola Kamara. The Scottish Premiership champions began the night bottom of Group A and without a win in three Europa League matches, having also been defeated 3-1 by Molde last month in Norway. Celtic manager Ronny Deila spoke of the need for his side to 'step up' ahead of the match and he was nearly rewarded after a fast start, with striker Leigh Griffiths having two goals chalked off for offside in the opening 15 minutes. But despite making such a bright start, it was Ole Gunnar Solskjaer's side that broke the deadlock. The lively Elyounoussi made the most of a poor clearance from Celtic substitute Tyler Blackett, unleashing a fierce half-volley from the edge of the 18-yard box past Craig Gordon. Their lead did not last long as Celtic midfielder Commons, who reacted furiously after being substituted in Molde a fortnight ago, brought the hosts level just five minutes later deflecting Bitton's 25-yard shot past Ethan Horvath. As Celtic threatened to build on Commons' equaliser, more indecision at the back allowed Molde to regain the advantage through 40-year-old defender Hestad. Horvath helped to preserve the visitors lead in the second-half, producing two outstanding saves to firstly deny Mikael Lustig and then Bitton, whose night was cut short after bringing down Kamara with the forward clean through on goal. The defeat means Celtic remain bottom of Group A and three points off second-place Fenerbahce, who were held to a goalless draw by Ajax.